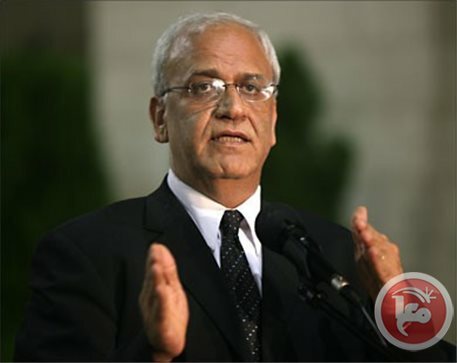 Top PLO negotiator Saeb Erekat has called the ongoing expansion of Israeli settlements in the occupied West Bank "terrorism," even making comparisons between Israel and the Islamic State militant group in Iraq and Syria. "There is no difference between the terrorism practiced by the group led by Abu Bakr al-Baghdadi and Israel's terrorism," he said, referencing the leader of the IS group during a speech at a festival celebrating the Prophet Muhammad's birthday in Jericho on Monday. He added that "ending settlement activities is a prerequisite for eliminating terrorism." Erekat also slammed Israel's decision to withhold Palestinian tax revenues, confirming that Israeli threats would not deter the Palestinian leadership and the Palestinian people from holding firm to their inalienable rights including the establishment of an independent state whose capital is Jerusalem. In recent months numerous critics and activists have also suggested similarities between Israel and the IS group, referring to the first as "the Jewish State in Israel and the Levant" i.e. JSIL, a play on the abbreviation "Islamic State in Iraq and the Levant" i.e. ISIL frequently used for IS. Those who make the comparison argue that the ethnic cleansing practiced by IS and Israel as well as the drive to create an ethnically and religiously "pure" state hint at the shared assumptions that underlie both projects. 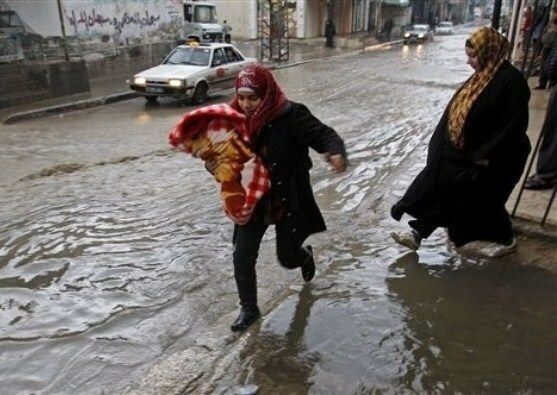 The Islamic Resistance Movement, Hamas, in central Gaza Strip, announced the formation of emergency committees in all areas of the governorate to follow up on the implications of the snowstorm that is hitting the region. Moussa al-Samak, a Hamas leader, said, in a press statement, “The Movement started, from the first moment of the winter storm the formation of an operations room, including various committees, to work on backing up the emergency teams, civil defense and municipalities”. He added “Hamas crews are taking part in neighborhood committees in coordination with municipalities to provide help and assistance to the Gazan people”. He pointed out that forming these committees goes in line with the message of Hamas Movement and its keenness to stand side by side with the Gazan people under all crises they are going through. He added, “We are trying to mitigate those crises and to facilitate people’s lives in light of the failure of the unity government to carry out its responsibilities towards the people of the Gaza Strip”. The Palestinian Prime Minister Rami Hamdallah has vowed to resolve all the problems of Gaza Strip within four weeks, saying he will visit Gaza early next week for this purpose. 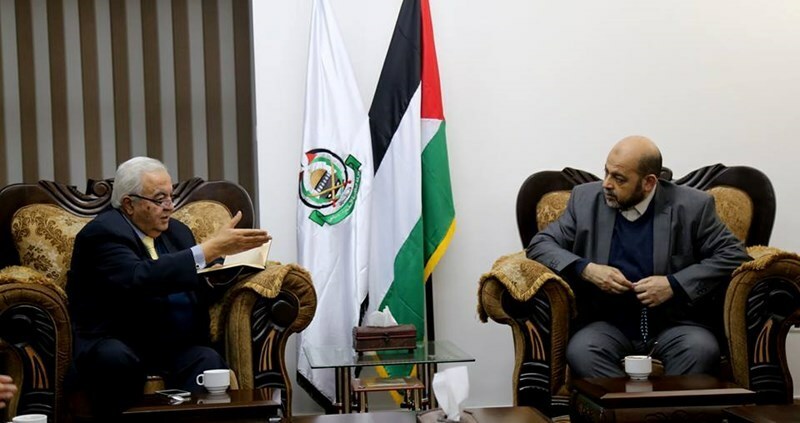 Member of Hamas political bureau Dr. Mousa Abu Marzouk wrote on his Facebook page that both the Labor and the Public Works and Housing ministers in the unity government confirmed to him Hamdallah’s intention to resolve Gaza crises within four weeks. Issues to be resolved include Gaza employees crisis, controlling border crossings, electricity crisis, and increasing Gaza budget. During Abu Marzouk’s meeting with the two ministers, he received a phone call from Hamdallah who confirmed his visit to the besieged Strip next week. Crises in Gaza Strip have seriously worsened since the unity government took office early June 2014. 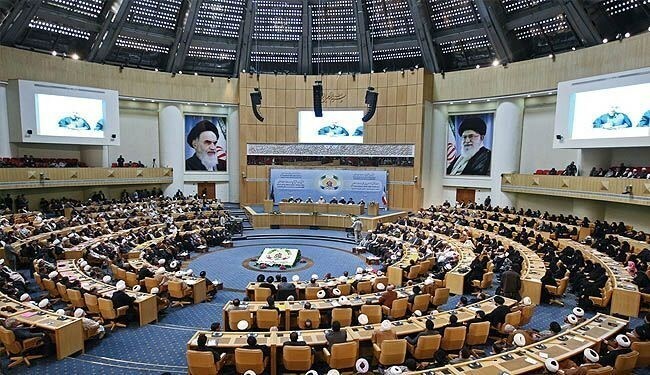 A Hamas delegation arrived in Tehran Tuesday morning to partake in the 28th International Conference on Islamic Unity held to commemorate the birth anniversary of Prophet Mohammad, peace be upon him. A PIC news reporter said the two senior Hamas leaders Jamal Issa and Ali Baraka are expected to attend the conference on Islamic Unity at the invitation of Iran. The conference is set to kick off on Wednesday and wrap up on Friday. More than 300 prominent Arab and Islamic figures are set to join the forum. Hamas Movement has denied press reports that its political bureau chairman Khaled Mishaal would leave Doha at the request of Qatar. Political bureau member of Hamas Ezzet al-Resheq said on his Facebook account on Tuesday night that press reports about Mishaal leaving Qatar was unfounded. Arab and Palestinian media outlets quoted reports by a Turkish newspaper as saying that Mishaal was preparing for leaving the Qatari capital at the request of Qatari leadership and that he was going to re-settle in Turkey. The Islamic Resistance Movement, Hamas, refused the call by the Organization of Islamic Cooperation (OIC) on Arabs and Muslims to visit Jerusalem under Israeli occupation. 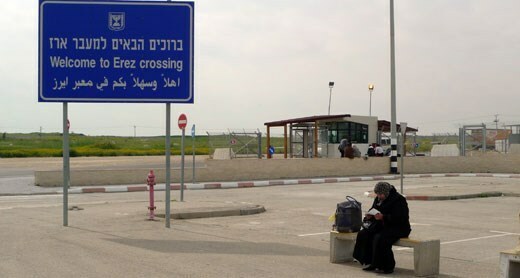 Hamas also refused, in a press release on Tuesday, turning the holy city into an Islamic touristic destination, saying that longing to visit the Islamic holy places does not justify the normalization of relations with Israel. Hamas’s statement came in response to the call made by OIC Secretary General, Iyad Madani, to visit the holy city during his speech delivered at the inauguration of “Al-Quds in Memory” exhibition in Ramallah on Sunday. The speech urged Muslims to visit the city in thousands and called for founding Palestinian and Jordanian touristic agencies to facilitate pilgrimage to Jerusalem as it is the case with Makkah in Saudi Arabia. Hamas said the liberation of Palestine and Aqsa Mosque is the duty of all Muslims all over the world, stressing that the only way for that is resistance. Hamas called on the Arab and Islamic countries to protect the Aqsa Mosque and other Palestinian sacred places as well as to support the Palestinian resistance and Jerusalemites’ steadfastness. 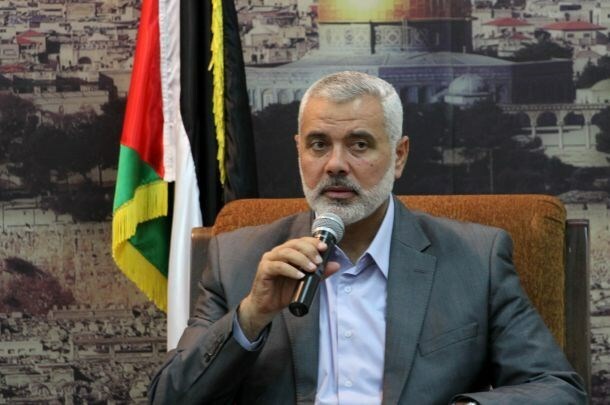 The Hamas Movement strongly denounced the unity government for using Qatari funds earmarked for Gaza reconstruction projects for other purposes and accused the Palestinian Authority of trading upon the suffering of Gaza people. In press remarks on Monday, its spokesman Sami Abu Zuhri stated that some ministers of the unity government admitted that the Qatari reconstruction funds for Gaza had been allocated for the payment of salaries to the PA-appointed employees. Abu Zuhri added that the ministers' recent remarks in this regard confirmed that the main reason behind the failure to reconstruct the post-war Gaza Strip was that the PA, all the time, was misusing the grants provided for reconstruction projects. Some Palestinian ministers stated in different press remarks recently that the unity government would use Qatar's grant for Gaza reconstruction projects to cover the salary budget deficit and pay Gaza civil servants, who were only appointed by previous PA governments. In another context, minister of public works and housing Mufid al-Hasayna said his ministry approved a new list of 23,000 Gazan citizens who would be able to get building materials. During a symposium held in Gaza on Monday, Hasayna said that the ministry was working around the clock in cooperation with other international parties on alleviating the suffering of citizens whose homes were destroyed. He noted that the current batch of citizens, whose names were registered for building materials by the ministry, the UNRWA and the UNDP, are considered the biggest. A report in this regard released by Oxfam last December warned that despite $5.4 billion in pledges at an international donor conference this year and an agreement between the Palestinian Authority, Israel and the UN to allow in building materials, a few truckloads of materials found its way into the Strip. Moreover, the London-based newspaper the Guardian revealed in a recent investigative report that the mechanisms for allowing the distribution of building materials in Gaza, which were devised by UN special envoy Robert Serry, were vulnerable to corruption. A reporter from the newspaper recently visited UN-administered cement warehouses in Gaza and saw cement sacks being resold a few feet outside a warehouse's doors at up to four times the cost within minutes of being handed over to householders with coupons. Those coupons were approved and issued by the Palestinian ministry of public works and housing in cooperation with other UN bodies. The Guardian also talked about officials taking bribes to produce coupons for more cement than the needs of householders, so the excess could be resold on the black market in Gaza. 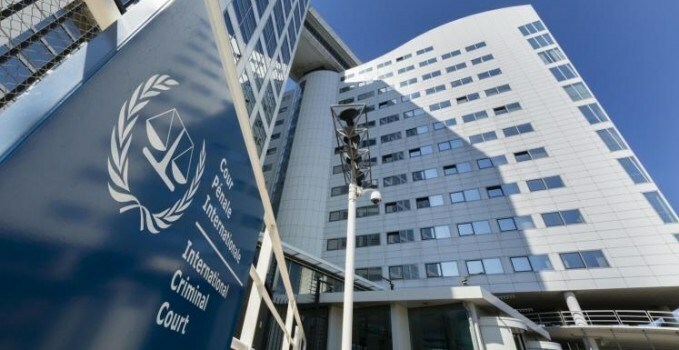 The International Criminal Court (ICC) has announced Monday that they have received a document lodged, under article 12 (3) of the ICC Rome Statute, by the Palestinian government declaring Palestine's acceptance of the jurisdiction of the ICC since 13 June 2014. Acceptance of the ICC's jurisdiction differs from an act of accession to the Rome Statute, the Court's founding treaty, the ICC's statement said. On 2 January 2015, Palestine transmitted to the United Nations documents relating to its accession to the Rome Statute as well as other treaties. The ICC is an independent, permanent court that tries individuals accused of the most serious crimes of concern to the international community as a whole, namely the crime of genocide, crimes against humanity, and war crimes. Acceptance of the ICC's jurisdiction does not automatically trigger an investigation. It is for the ICC Prosecutor to establish whether the Rome Statute criteria for opening an investigation are met and, where required, to request authorization from ICC Judges. On July 2014, Israel carried out a 51-day bloody offensive against the besieged strip of Gaza, killing more than two thousands of people mostly children and injuring 11 thousand others. A meeting is set to be convened Tuesday in the blockaded Gaza Strip by the Palestinian national and Islamic factions to deliberate over projected membership request to the ICC and to seek way-outs of the current power crisis. 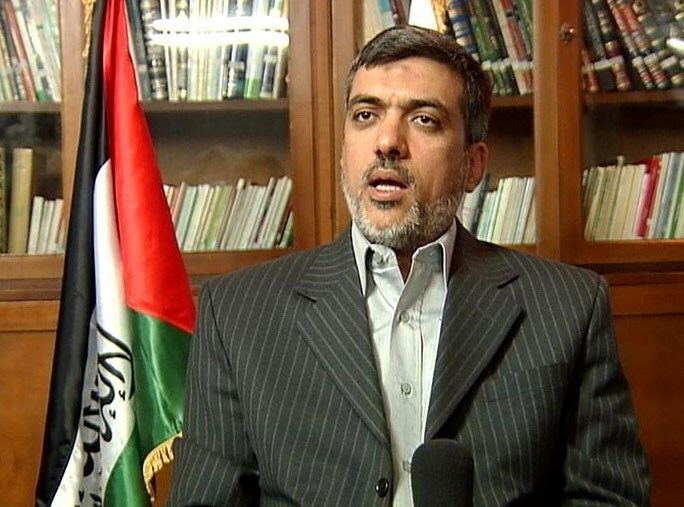 Hamas’s spokesman Sami Abu Zuhri said in exclusive statements to the PIC Monday that the meeting was agreed upon during a meeting between Hamas and the Popular Front for the Liberation of Palestine (PFLP). He added that the meeting fell in line with attempts to foster bilateral ties between Hamas and the PFLP in an attempt to thwart all complots aimed at meddling with national rights, most notably Abbas’s latest statehood at the UN Security Council. A legal assessment of the Palestinian move to sign up to join the International Criminal Court is expected to be performed by a consortium of lawmakers during the meeting. Other experts are set to assess the current power crisis and the possible solutions to work out the frequent electricity blackouts rocking the besieged enclave. Earlier during the meeting with PFLP officials on Monday, political bureau member of Hamas Dr. Mousa Abu Marzouk updated the PFLP officials on Hamas’s efforts to help the government in finding possible way-outs of the power crisis and means of overcoming obstacles set by international and Israeli parties. 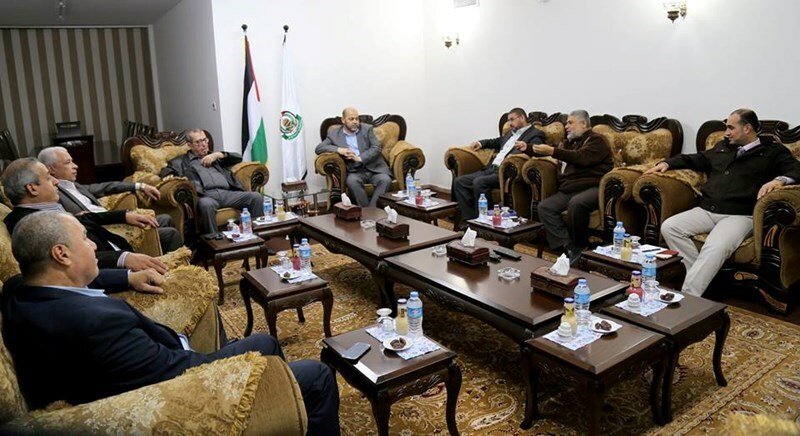 Meanwhile, Deputy Head of Hamas, Ismail Haneyya, met a senior delegation of the Islamic Jihad movement to discuss the tragic state of affairs in Gaza. A power crisis has hit the Gaza Strip, leading to electricity outages that amount to 18 hours per day. The situation has gone far worse as the consensus government has been dragging its feet vis-à-vis the crisis, among many other emergent affairs, most notably reconstruction, the blockaded border-crossings, the salary crisis, and frequent breakdowns in the health sector. Hamas on Monday afternoon reiterated the group’s firm rebuff of the Palestinian Authority’s intent to re-submit a Palestinian statehood bit to the UN Security Council (UNSC). Spokesman for Hamas, Sami Abu Zuhri, said in a press statement: “We declare our firm rejection of any PA projected petition to be lodged with the UNSC. Abu Zuhri called on the PA Chairman, Mahmoud Abbas, to backpedal on the move once and for all. Earlier on Sunday the PA Chairman, Mahmoud Abbas, told officials at a cultural conference in the West Bank city of Ramallah that he was discussing with Jordan plans to resubmit to the United Nations Security Council a resolution calling for the establishment of a Palestinian state that failed to win enough votes last week. “We will never throw in the towel until we restore our right,” he said. In the U.N. vote on Tuesday, the Palestinian draft received eight votes in favor, including France, Russia and China, two against and five abstentions, among them Britain. Australia joined the United States in voting against the move. The Palestinians voiced hope that the new states, including Venezuela and Spain, who took up seats on the UNSC over the new year, will be more sympathetic to their resolution demanding an Israeli withdrawal from occupied territories by 2017, although the veto-wielding United States would be all but certain to vote 'No' again. Angola, Malaysia and New Zealand also joined the council, as Argentina, Australia, South Korea, Luxembourg and Rwanda left at the conclusion of their terms. Chad, Chile, Jordan, Lithuania and Nigeria remained as the other non-permanent members, while France, Britain, China, Russia and the United States continue as the five permanent members. Israeli President Reuven Rivlin said, Monday, that he opposed a freeze in the transfer of taxes to the Palestinians in response to their application to join the International Criminal Court. "Freezing taxes can be useful neither for Israel nor for the Palestinians," Rivlin told ambassadors accredited to Israel in a speech. 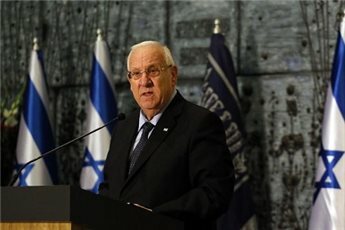 In his speech, a copy of which was reviewed by AFP, Rivlin said that President Mahmoud Abbas "continues to reject direct negotiations and tries to impose a deal by force", adding that such an approach "warrants sanctions." Israel on Saturday delayed the transfer of $127 million it collects on behalf of the Palestinians in retaliation for the Palestinian move to join the ICC and press war crimes charges. The tax revenues make up two thirds of the Palestinian Authority's annual budget, excluding foreign aid. "Sanctions against the PA should be in line with Israeli interests, and a tax freeze is not," Rivlin said. Monday's statements are not the first criticisms against the Israeli state to come from Rivilin. “The tension between Jews and Arabs within the State of Israel has risen to record heights, and the relationship between all parties has reached a new low,” he said. News of the president's concern failed to make international headlines, however. The Palestinian ICC bid is firmly opposed by Israel and the United States, and follows a failed draft UN Security Council resolution calling for a final peace deal. Israeli officials suggested, Sunday, that the tax freeze was only the first of a series of punitive measures it could take against the Palestinian government. Recent American legislation states that, if Palestinians initiate any action against Israel at the International Criminal Court, the State Department would have to stop US aid to the PA. 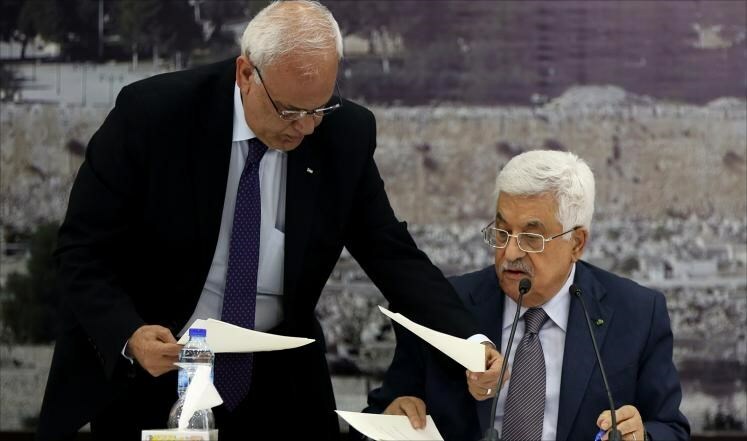 According to the PNN, after freezing the transfer of tax revenues to the Palestinian Authority, Israel is taking additional steps to punish the PA for its request to join the ICC. A senior Israeli official said, on Sunday, that Jerusalem would be contacting pro-Israel members of US Congress to ensure the enforcement of the recently passed legislation. The stop-gap funding bill was passed in Congress last month, Haaretz reported. Both houses of the new Congress, to be seated later this month, will be controlled by the Republican Party, with many key positions filled by senators and representatives who are pro-Israel and anti-Palestinian. The legislation regarding Palestinians initiating action at the ICC is strongly worded and states that President Barack Obama cannot waive a decision to halt aid to the PA. US aid to the PA comes to some $400 million annually, and administration is concerned about the ramifications of halting this financial assistance, as it is liable to make it impossible for the PA to pay the salaries of tens of thousands of employees. Although Arab states have promised to provide the PA with a financial security net, US officials believe that, as in the past, Arab states won't deliver as promised, and will not work to keep the PA afloat. Earlier Sunday, Foreign Ministry Director-General Nissim Ben Sheetrit said that Israel's response to the Palestinian bid at the ICC would be much harsher and more comprehensive than just freezing the PA's tax revenues. Ben Sheetrit made the remarks at a conference, held in Jerusalem, for Israel's envoys to Europe. Sheetrit says, however, that unlike in the past, Israel will not launch a wave of settlement construction in response to the Palestinian moves. He also added that Israel had no interest in undermining security cooperation with the PA or to cause its collapse. The security cabinet is expected to meet later in the week to decide on the new measures. Ismail Haneyya, Deputy Chairman of Hamas Political Bureau, met a delegation of the Islamic Jihad leadership on Monday to discuss joint cooperation and Gaza crises. 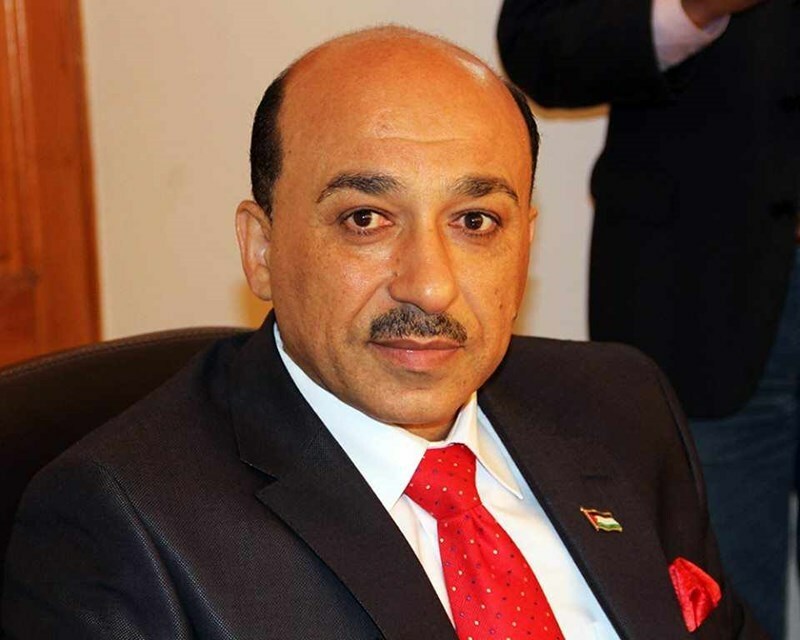 Haneyya’s office said, in a brief statement, both parties examined the political conditions in the Palestinian arena and bilateral cooperation along with the Strip’s crises and possible solutions to them. Gaza Strip has been going through a power crisis which reached up to 18-hour-cut off a day, while the unity government refuses to bear its responsibility towards this crisis in addition to others such as the crossings, employees, and health sector. 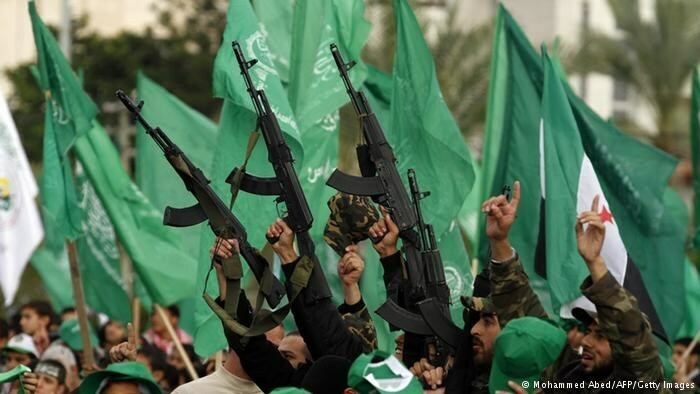 Hamas maintains solid relations with other Palestinian resistance factions and is keen on forging close cooperation with them in face of the Israeli threats. 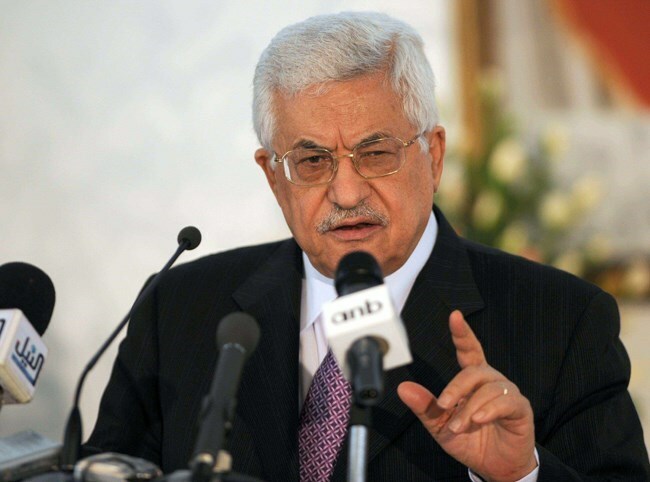 Palestinian Authority (PA) president Mahmoud Abbas said that the Palestinians would keep making statehood bids at the UN until they succeed in getting their goal, and would join international organizations despite the pressures. 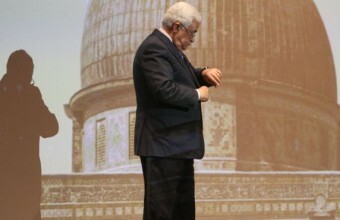 Abbas made his remarks in a speech at the opening ceremony of an exhibition on Jerusalem in Ramallah on Sunday night. Abbas affirmed that he and the Jordanians intend to submit another draft resolution calling for the establishment of the Palestinian state after the failure of the first one in late December. "We will go back to the Security Council, maybe in a week. We are now mulling over the issue especially with our brothers in Jordan because they are closer to us and a member of the Security Council. We will consult with them to repeat the attempt over and over again," the PA chief stated. The PA in cooperation with the Arab group at the UN submitted on Monday, December 29, 2014, a revised draft resolution calling for an Israeli withdrawal from the occupied West Bank and east Jerusalem and the establishment of a Palestinian state by late 2017. The resolution called for negotiations to be based on territorial lines that existed before Israel occupied the West Bank, east Jerusalem and the Gaza Strip in the 1967 war. It also called for a peace deal within 12 months. Later on Tuesday, the UN Security Council convened and rejected the Palestinian statehood bid after it did not receive the maximum nine votes in favor. Even if the draft had received the required votes, it would have been defeated by the American veto. Israeli Prime Minister Benjamin Netanyahu said, Sunday, that PA President Mahmoud Abbas' bid to join the Hague-based International Criminal Court (ICC) would only expose him and other Palestinian officials to prosecution over their support for what he called "militant Islamist groups", PNN reports. 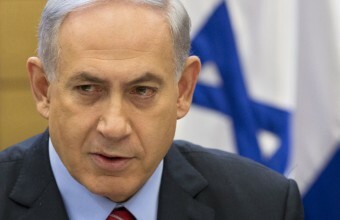 "We will take steps in response and defend Israel's soldiers," Netanyahu was quoted to say by Reuters. Palestinian Ambassador to the United Nations, Riyad Mansour, delivered documents to the United Nations headquarters, Friday, to become a signatory to 22 international treaties, including the ICC, in the hope of pursuing war-crimes charges and achieving "justice for all the victims that have been killed by Israel, the occupying power," Reuters reported. It takes 90 days to join the ICC, which looks at cases of severe war crimes and crimes against humanity, such as genocide, according to Haaretz. Abbas signed the documents Wednesday, one day after the UN Security Council rejected a Palestinian resolution demanding statehood and for Israel to withdrawal from its territory. Also on sunday, Netanyahu vowed to deny Palestinians in their efforts to "drag IDF soldiers and commanders to the International Criminal Court in The Hague," according to the Jerusalem Post. "The Palestinian Authority has chosen confrontation with the state of Israel, and we will not sit with folded hands," Netanyahu said at the start of the weekly cabinet meeting in Jerusalem. "Those who need to answer before a criminal court are the heads of the Palestinian Authority, who have forged an alliance with the war criminals of Hamas. "IDF soldiers will continue to defend the State of Israel with determination and might," the premier said. "Just as they defend us, we will protect them with that same determination and the same might." Netanyahu's comments at the start of the weekly cabinet meeting was his first comment on Jerusalem's decision to freeze the transfer of NIS 500 million to the Palestinian Authority in response to the PA's decision to join the International Criminal Court. A delegation of the International Federation of Football Associations (FIFA) is set to pop in Gaza Monday to join in repairing 10 stadium pitches sponsored by the federation. Palestinian sources said a FIFA team is to arrive in Gaza via the Beit Hanoun crossing early on Monday morning. A press conference, followed by a series of appointments with representatives of the Palestinian Football Federation, is expected to be held in the Beit Lahia stadium, north of the blockaded Gaza Strip. The envoy is also expected to stop at the Yarmouk stadium in Gaza City and to attend a football match of the Palestinian Premier League in Khan Younis, to the south of Gaza. The FIFA had pledged a million dollar to refurbish 20 pitches and grass terrains in Gaza stadiums.